Café Set || Design: Kristina Stark. 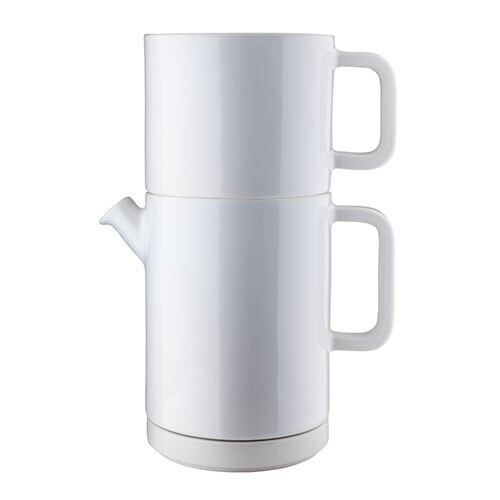 A set consisting of a coffee pot together with a white brewer for drop brewing your coffee the old fashioned way. The brewer holding a melitta filter size 102 comes with a white small plate. The pots are white with lids in four different colours: black, white, yellow and dark brown. The brewer with its plate is always white.